or "Reaping What They Sow"
Did you know there are more than 100 verses in the Bible that speak directly or indirectly about harvest? There are Old Testament harvest laws and feasts that can tell us about health, discipline, and even how to party! Our 50 Harvest Printables will get the kids in your life familiar with all these great harvest concepts. 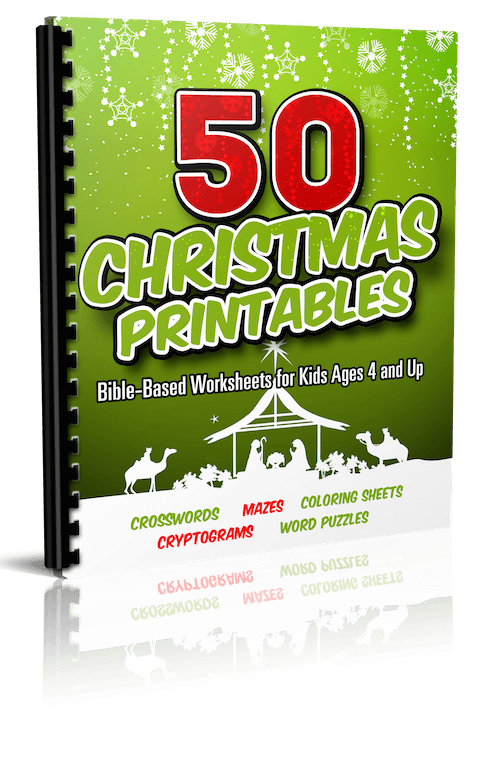 Our Printables serve as terrific 5-10 minute time fillers that remind Christian children that harvest is a wonderful time to renew their faith in Jesus. The goal is to help bring the Harvest message to life for kids, and to show how Harvest is actually a much more important thing to celebrate than the other "H" holiday during the Fall months. Our unique activities will create many fun hours and will leave kids knowing lots more about the importance of Harvest and the love of Christ! Keep kids busy (and out of trouble) before and after Sunday School! 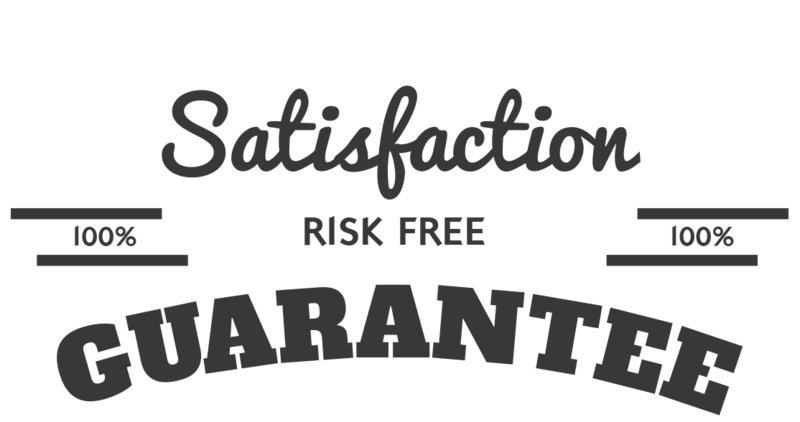 Instead of a TV show, how about giving them a stack of fun Harvest Printables? Our church often sets up information booths at various community events. We always have a “childrens table” set up for kids loaded up with these Printables during the fall months. Every classroom should have a “flu folder” during the fall & winter loaded with these printables that we can whip out if a teacher (or student) suddenly falls ill.
We are so sure that you will love the 50 Harvest Printables that we are offering an unconditional 100% money-back guarantee. 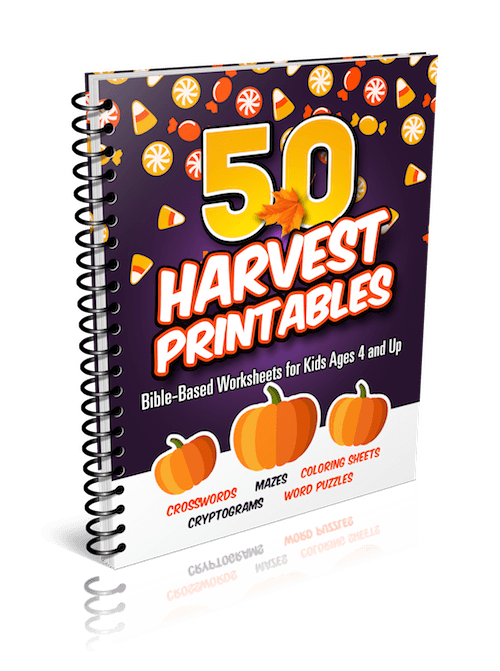 Plus, when you order '50 Harvest Printables' you can take advantage of the immediate download feature to get all the questions and materials in just minutes or even seconds from now … that means you could be using it in class on Sunday – even if you are ordering on Saturday night! YES, I want in! 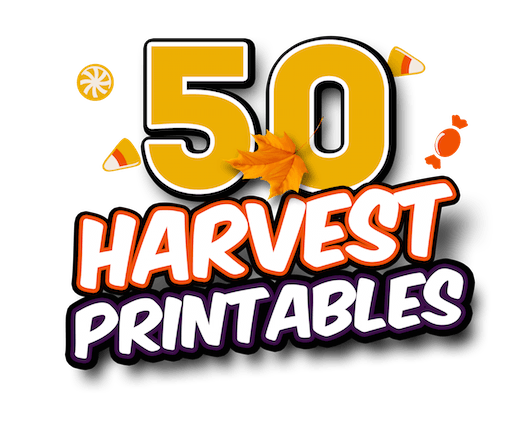 I want access to the "50 Harvest Printables". Please give me INSTANT access right now!